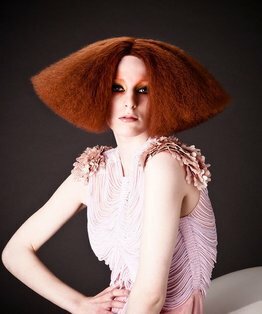 Callam Warrington’s avant-garde tutorial is a crimped structure starting with a triangular ponytail on the centre point of the head in the crown and level with the ear positions. 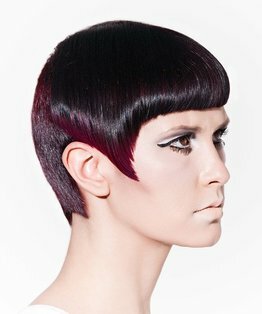 Extensions are added around the head, with pre-coloured extensions with a bold yellow placed in the front of the head. 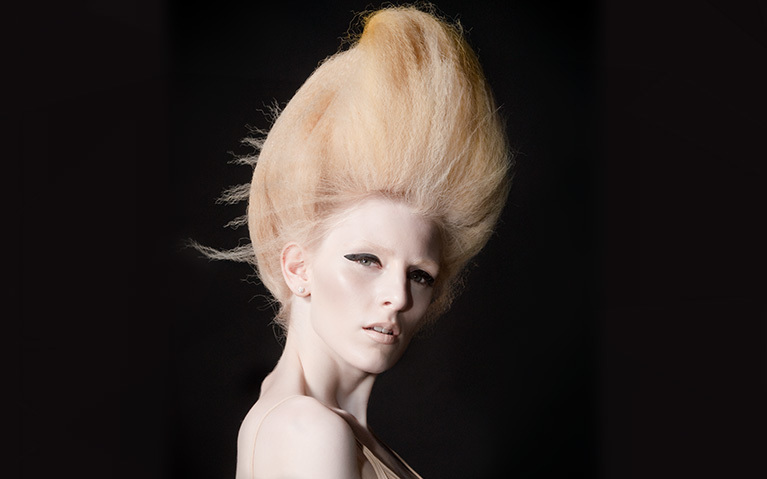 Four doughnuts are added to support the perimeter hair and extensions. All of the hair is crimped and teased before fixing into place. 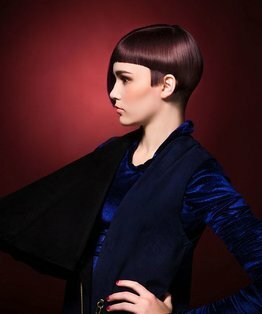 The result is a towering flame with a strong editorial look that's also perfect for shows and catwalks.